If you encounter a "HTTP Error 405.0 - Method Not Allowed" error in your browser (after accepting the License Agreement during the installation of a self-hosted edition of our web based room booking and resource scheduling software) on a Internet Information Services (IIS) server, along with the accompanying message "The page you are looking for cannot be displayed because an invalid method (HTTP verb) is being used", then there is a problem with your web server's current configuration. Specifically, your IIS sever has been set to reject http "POST" requests to non-asp pages (our MIDAS software doesn't use or require asp (Active Server Pages)). 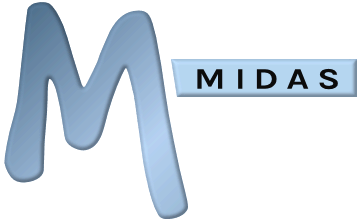 MIDAS is written in the Perl programming language, and therefore makes use of .pl (Perl) scripts. The error displayed in your browser indicates that your IIS system is in fact not presently configured to handle *.pl files for the http "POST" method. Configuring your IIS server/Perl mappings to permit the POST verb to .pl files should resolve this issue and allow you to continue installing your self-hosted MIDAS room booking system. In your Internet Information Services (IIS) Manager, select "Handler Mappings", and scroll down to the entry for *.pl files. Double click this entry and an "Edit Script Map" window will appear. Click the "Request Restrictions" button in this window, then on the "Verb" tab of the resulting window, make sure "Specify the verbs to be handled" is set to "All Verbs"